Furman Helps Jan Ozveren Bring Studio-Quality Sound to Live Performances | Furman Power | Purifying power for over 40 years. CARLSBAD, CALIFORNIA – In his 15-year career as a full-time touring and recording guitarist, Jan Ozveren has played with some of the world’s biggest acts, including Rihanna, Jennifer Hudson, Charlie Puth and Corinne Bailey Rae. 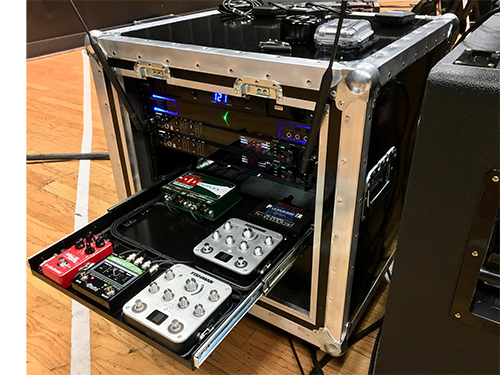 Whether he’s performing one song on a live TV show, accompanying an entire tour, or recording album tracks, Ozveren says there’s one piece of gear that helps him maintain consistent sound from one venue to the next: the Furman P-1800 AR Prestige Voltage Regulator. 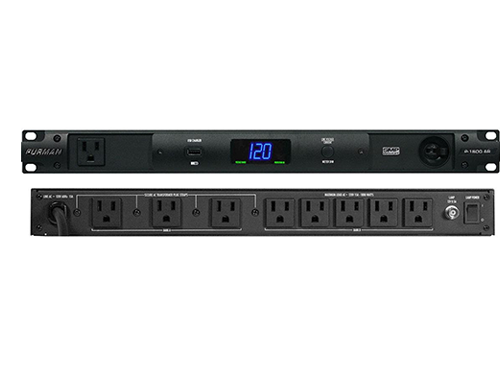 With nine total outlets, including three that are widely spaced for bulky plugs and one on the front for convenience, a 15 amp rating, isolated banks that minimize inter-component noise contamination, a large, easy-to-see voltmeter and ammeter, a front USB outlet for a USB lamp, and LED indicators that warn when incoming voltage is outside the nominal range, the Furman P-1800 AR covers every base for clean, reliable, protected power during live performances. To learn more about Jan Ozveren’s process, gear, upcoming tour schedule and history, visit his website at www.janozveren.com.